BIG CHANGES FOR THE MEDICAL INDUSTRY VIA THE ADVENT OF STAR TREK TECH. Thanks to Heru for this exciting piece of news! How many of us out there grew up on Star Trek, pretending to carry our own cool replicators???-A.M. WE ARE NEARLY THERE, IT IS THE NEXT LOGICAL STEP. THIS TECH CAUSES CELLS TO REVERT BACK TO THEIR ORIGINAL BLUE PRINT VIA USING SCALAR WAVES TO GO BACKWARD IN TIME. THUS, DR. TODD HAS SEEN DISEASED AND CANCER CELLS REVERT BACK TO A HEALTHY CELL. THUS, SIMPLY INCLUDE DR. TODD’S TECH INTO A CAPSULE LIKE THE GERMANS HAVE. = STAR TREK TECH. THIS WOULD HAVE BEEN THE LOGICAL EXTENSION OF RIFE’S TECHNOLOGY, ALSO. HE WAS CURING CANCER WITH ENERGY MEDICINE IN THE 1930s OVER 80 YEARS AGO – IMAGINE THE PERMUTATIONS BY NOW. !!! SO, IT SEEMS THAT THE DARK CABAL HAS GIVEN UP AND IS NOW ALLOWING THE ADVENT OF THIS WONDERFUL TECH. PS – THE PHYSICS OF IT. THERE IS A BIT OF A MISS UNDERSTANDING ABOUT THIS: BECAUSE THEY TALK ABOUT THE SCALAR WAVE ITSELF HAVING ONE WAVE BEING TIME FORWARD AND THE OTHER WAVE BEING TIME REVERSE. EXCUSE ME, THE RUSSIANS WERE ABLE TO CREATE SCALAR WEAPONS A LONG TIME AGO VIA WHICH THEY BLEW UP THE SPACE SHUTTLE THE CHALLENGER AND AT LEAST 11 OTHER LAUNCH VEHICLES AROUND THAT SAME TIME. THIS IS ALL WELL PRESENTED IN TOM BEARDEN’S BOOK “FER DE LANCE”. THE REASON THAT THE RUSSIANS WERE ABLE TO KNOW THAT TWO WAVES 180 DEGREES OUT OF PHASE FROM ONE ANOTHER (PHASE CONJUGATED) DID NOT CANCEL THEMSELVES IS BECAUSE THEY MAINTAINED THE GRAVITY COMPONENT IN MAXWELL’S EQUATIONS. THEREFORE, THEY KNEW THAT THE TWO WAVE FORMS WERE THERE AND DIFFERENT DESPITE NOT BEING DETECTED VIA AN OSCILLOSCOPE. AND, OF COURSE, THE WAY MOST SCALAR WAVES ARE MADE IS FROM THE SAME WINDING I.E. A TESLA TORROID WOUND BOTH DIRECTIONS – SO, BOTH WAVES ARE PROPAGATED AT THE SAME TIME AND IN TIME FORWARD. THERE IS, HOWEVER, A TIME ZERO ASPECT THAT IS INHERENT IN THE SCALAR WAVE – THE SAME TIME ZERO ASPECT THAT OCCURS IN A CAPACITANCE FIELD, FOR THE SAME REASON – ITS QUITE SIMPLE: THE TWO DIFFERENT WAVES ONE ABOVE THE X-AXIS AND THE OTHER BELOW I.E. ONE POSITIVE AND ONE NEGATIVE FORM A CAPACITOR. ALL IT REQUIRES IS TO OPEN THE EYES AND LOOK. SO, IN THE SCALAR WAVE YOU HAVE TWO WAVES SKIPPING ACROSS THE X-AXIS IN THE PROCESS THEY BOTH CREATE SPIN THAT COMES OF AT RIGHT ANGLES, IN THIS CASE WE WILL HAVE COUNTER ROTATING SPINS, WHICH WILL AUTOMATICALLY CREATE AN ANU, WHICH IS THE GOD PARTICLE. SO, ITS A SMALL WONDER THAT WE SEE DISEASED CELLS REVERTING BACK TO BEING HEALTHY CELLS IN THE PRESENCE OF THE SCALAR LASER WAVES. THIS IS WHY MEDICAL LASERS IN GENERAL DO ANOMALOUS HEALING. ALSO, COVERED IN THE FIRST ESSAY “IN THE BEGINNING”. 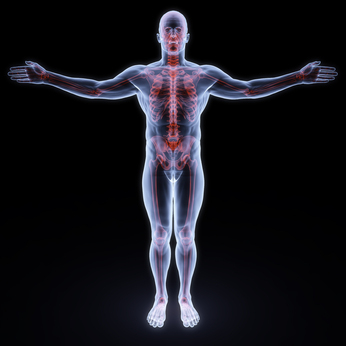 MEDICAL LASERS WILL CAUSE THE IMMUNE SYSTEM TO RESPOND AND REDUCE SWELLING WHICH IS AN IMMUNE RESPONSE. THEY WILL REMOVE PIGMENT FROM SKIN WHERE THERE IS TOO MUCH AND REPLACE PIGMENT WHERE THERE IS TOO LITTLE. ETC. ETC. DIRECT INJECTIONS OF CONSCIOUSNESS AND GOD. April 19, 2012 — OAK RIDGE, Tenn., Apr. 19, 2012 — The boundary between electronics and biology is blurring with the first detection by researchers at Department of Energy’s Oak Ridge National Laboratory of ferroelectric properties in an amino acid called glycine. SO, FERROELECTRIC PROPERTIES ARE THAT GLYCINE SWITCHES POLARITY AS A FUNCTION OF ITS EM ENVIRONMENT, WHICH CAN BE ALTERED BY COHERENT ENERGY. THE SWITCHING IS A CLEAR INDICATION THAT GLYCINE BLINKS IN AND OUT OR THIS REALM. NEXT: GLYCINE ALSO HAS PIEZOELECTRIC PROPERTIES, WHICH MEANS THAT WHEN STRESSED IT EMITS PIEZOELECTRIC LIGHT, WHICH IS SPIN. THUS, GLYCINE IS A CRYSTAL AND ALL CRYSTALS GROW ESPECIALLY IN A TIME ZERO FIELD. April 17, 2012 — OAK RIDGE, Tenn., Apr. 17, 2012 — Light of specific wavelengths can be used to boost an enzyme’s function by as much as 30 fold, potentially establishing a path to less expensive biofuels, detergents and a host of other products. NOW THAT GLYCINE REGULARLY CHANGES POLARITY IS FOUNDATIONAL TO THE FACT THAT ALL MATTER BLINKS IN AND OUT OF THE REALM. THE THING THAT THEY SKIP OVER IS THAT EVERY TIME THE POLARITY FLIPS – IT HAS TO PASS THRU A NULL ZONE, WHICH IS OBVIOUSLY WHAT HAPPENS DURING THE BLINKS. IT PASSES THRU THE BARDO, WHICH IS WAY TOO SIMPLE FOR OAK RIDGE NATIONAL LABS. THE OTHER ASPECT OF THAT IS MENTIONED ELSE WHERE IN THE RESEARCH DONE AT OAK RIDGE IS THAT THEY EXPLAIN EXACTLY WHAT JOHN OTT FOUND YEARS AGO – THAT LIGHT STRIKING CERTAIN RECEPTORS IN THE EYE ACTUALLY FEEDS THE REPRODUCTION RATE OF GLYCINE IS DISCUSSED BY THE ORNL SCIENTISTS, BUT THEY DO NOT REFER TO JOHN OTT’S WORK. OBVIOUSLY THIS EXPLAINS WHY SUN GAZING IS SO HEALING FOR THE HUMAN BODY.